While there are not as many NASCAR bet types as there are other sports, there is still no lack of options when betting on the track. Many people think that they can only bet on the race winner and while that is the most popular bet there are many more as well. 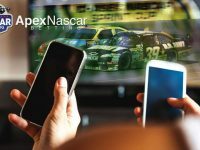 In NASCAR just like with any other type of sports betting you want to get the best odds possibleto get the best payout. To do this, you need to do a little homework to check out different sportsbooks to see what the most favorable odds are for the race you want to wager on. In this example, there are just four drivers listed, but in the full bet, you will see all the drivers in a specific race. In the above example, Kyle Busch is the favorite at +400 and in using $100 as an example, you can bet the amount you want if you think he will win the race you will have to bet $100 to win $400. Often you will see a Field bet at the end, and that bet is betting on any driver to win the race that does not have posted odds. The place and show bet are easy bets to understand, as in the place bet a driver has to finish in the top two in a race and in the show bet they have to finish in the top 3. These bets do not have as good as a payout as the winner bet, but they still have good ones, as it is not easy to pick a driver to finish in the top two or three spots in a race. In this bet, the total outcome of the race does not matter, as you are merely picking what driver will have the better finish, Busch or Harvick. 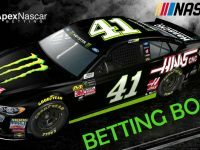 Busch is the favorite in this match up denoted by the – in front of the number while Harvick is the underdog signified by the + in front of the number. Also, in this bet, Busch is the slight favorite with a less favorable payout, as you need to wager $120 on him to win $100 as opposed to betting $100 to win $140 on Harvick. There are also many proposition bets, simply called prop bets, that you could make on NASCAR. A prop bet does not have to do with the outcome of the race rather the more detailed parts of a race. There are race and driver proposition bets such as what driver will have the pole, will there be over/under five yellow flags in a race, or what driver will lead the race for the most laps. What is interesting about NASCAR is that there are even wagers, mostly prop bets, that you can make and cash in on before the race even begins. There are qualifying types of bets that you make on drivers for the action before the main event. One of the most popular types of betting these days is live betting, which is where you are making bets on an event as it happens live. Nascar Live betting is becoming more available at many of the top sportsbooks that offer NASCAR betting. The odds will always change in live betting depending on what is happening in the race. Now you are ready to make some racing bets. We gave you a high-level overview of how NASCAR betting works, now go win some money!